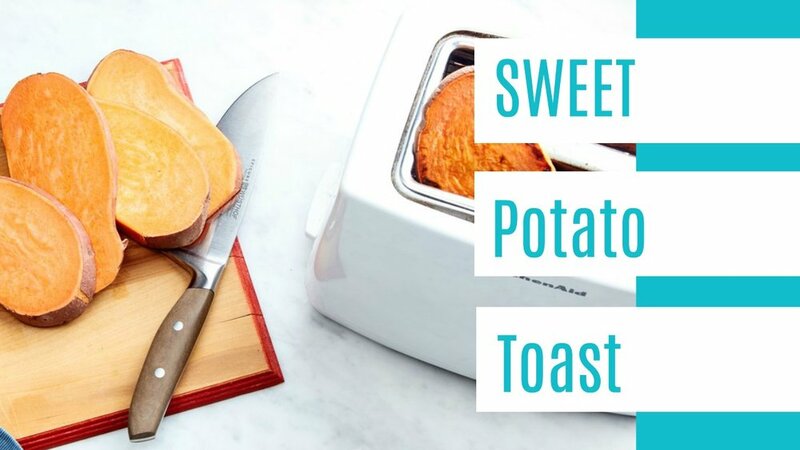 Pre bake the sweet potatoes, toast to reheat and dress with toppings. Go ahead, leave the skin on. Cut Yam/sweet potato into 1/4-1/2 inch length wise slices. Arrange the potato slices, not touching, in rows on a lined or oiled baking sheet. Roast them in the upper third rack in the oven. Flip them once 10 minutes in. Roast for 20-24 minutes until golden and crisp. Let cool and serve warm or put into freezer or fridge and toast with a toaster to reheat! 2 whole canned chipotle peppers in adobe sauce. Put all ingredients into blender, blend until sooth. Add heated baked beans and top with chipotle sauce, garnish with chopped cilantro or chives. Spread 2 tbsp of your favourite nut butter top with banana slices and 1/4 cup of your favourite granola, drizzle maple syrup over top. Mash 1 avocado with 1/2 cup of edamame and a squeeze of lemon or lime juice. Place onto toast, add sliced cherry tomatoes and sprouts and a drizzle of the smokey chipotle sauce. Sweet Potatoes to you, Yams to me! They're one in the same. Sweet potatoes are an excellent source of vitamin A (in the form of beta-carotene). They are also a very good source of vitamin C, manganese, copper, pantothenic acid and vitamin B6. Additionally, they are a good source of potassium, dietary fibre, niacin, vitamin B1, vitamin B2 and phosphorus. Carb's aren't the enemy, truth be told. In fact, the best time of day to consume carbohydrates is first thing in the morning. Your glucose tolerance is typically at its highest during the morning, making it an ideal time to consume the largest portion of your daily carb allotment.